Do you want to stop DREAMING and start DOING more in your life and career? Wouldn't it be nice to discover a simple approach that will empower you to this while also allowing you to invest in the people and things that matters most to you? This is exactly what the GOAL-GETTING Video Coaching Program will equip you to do! Principle #1 — It's Your Life. Create Your System. Principle #2 — Lead Your Life from Quiet. Principle #3 — The Reverse Pareto Principle. Principle #4 — Your 1 Percent Advantage. BONUS #1: Downloadable PDF for taking notes, which also includes links to free resources to assist you with Goal Getting. How to deal with fear in setting and achieving goals? How does goal getting look different for different personalities? What can you do when you feel overwhelmed by your To-Do list? How important is it to write S.M.A.R.T. goals? What's the best way to deal with procrastination? How can Evernote be used effectively in Goal Getting? 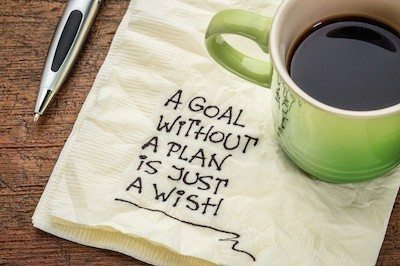 How do you determine your most important goals? How to recognize the difference between an urgent-but-not-important opportunity and an important-but-not-urgent opportunity? BONUS #3: A 6-minute video in which Kent shares his story about being an "at-risk" student and how one specific challenge from a caring adult led him to understand the power of goal getting. Bottom line, this is unlike any goal-setting training you have experienced because the focus is not on goal setting, it's on GOAL GETTING! Outside the USA? Contact us and include your shipping address for shipping prices. 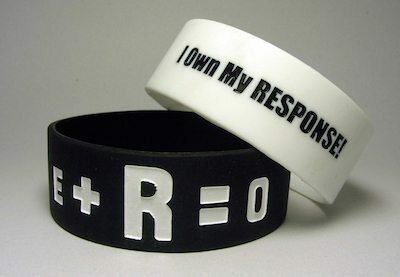 If affirmations are so powerful, why don’t they work for most people? In a word, most affirmations are “fake.” More specifically, they are fake to you, copy-and-pasted, like someone handing you their keys and sending you off to find a mysterious, hidden treasure. For affirmations to work, you must create them. This is the only way they become the keys that unlock the hidden treasure in your heart and soul. Affirm Yourself will equip you to write personal affirmations that are authentic to you! It will help you discover the affirmations already inside of you and show you how to make them an integral part of your everyday life. This book gets right to the point. In fact, you can read it in 15 minutes or less (no joke) because it explains the entire process of writing personal affirmations in less than 10 pages. 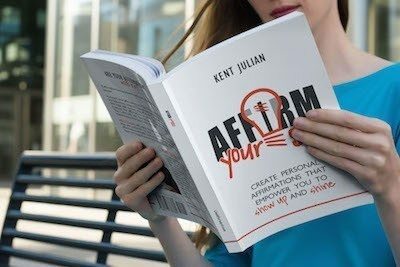 The rest of the book gives 30 different prompts for writing your personal affirmations. These prompts empower you to take action immediately so you can start using your personal affirmation right away. Are you choosing your best life or are you letting circumstances, past mistakes, or other people determine your life? Determining what you want your life to look like, how you want work to fit into that life, and develop a MAP to turn this dream into your reality. Bottom line, do you want to COME ALIVE so you can SHOW UP AND SHINE in the most important roles of your life?! BONUS #2: Exclusive Facebook Group for you to share your work, ideas, and insights with others who have gone through the Choose You Best Life NOW Coaching Program. BONUS #3: Four additional 5-minute videos explaining what assignments to post in our Exclusive Facebook Group and how to post best post them. NOTE: This book is for teenagers and young adults, yet many entrepreneurs have read it because the 30 principles shared in the book are applicable to success in life, career, and business. Normal is defined as conforming to a standard—usual, typical, expected, vanilla. Is that what you really want out of life? Conformity? Usual? Typical? Expected? Vanilla? Kent Julian has been serving up a healthy dose of “abnormal” advice for over a decade. In this hilarious and inspiring book, he shares unique insights on what it takes to achieve real success. The key, according to Kent, is not just to live for the moment or live it up, but to live it forward! 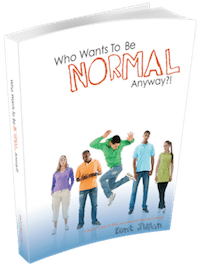 This is more than a “survival” guide for teens—it’s a strategic road map designed to help you thrive!